We believe we have a message people need to hear....What you don't know can kill you! Over the past century our culture has moved from purchasing fresh, local foods, to an industrialized food system. Most people regularly consume genetically modified and processed foods which are causing sickness, not only to the body, but the mind and soul as well. Our generation has thrown out God's wisdom displayed in the perfect foods He created for the convienence of fast food, which in most cases isn't food at all. Our culture has lost connection with the land and the privilege of "walking with the Lord in the garden." We have spoken at area churches and civic groups. We were featured on a CBN spot on backyard vegetable gardening in the spring of 2011 (link to view segment is on the bottom of our home page.) We have demonstrated and taught at VCU Small Farm events in Petersburg and Danville, VA. We have been gardening organically for over 12 yrs. We desire to share our experiences with others, encouraging them to reconnect with the land by raising produce and animals using sustainable and organic practices. It's a journey "back to the future"....take one step at a time... let us help you begin the journey today! We teach a simple, yet profound way of gardening with woodchips, based on the independent film, Back to Eden. We believe it is important for everyone to know how to grow their own food, recycle their wastes by composting and how to save heirloom seeds, so you never have to buy seeds again! Contact us to schedule an event. Food For Thought : learn 7 ways our food system has significantly changed over the past century. Get Healthy for Heaven's Sake: specifically geared for followers of Jesus Christ. 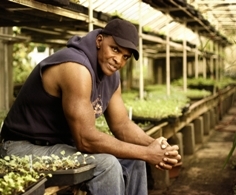 How to Start Your First Garden: learn the basics for starting a garden, Back to Eden style. Raising Chickens on Pasture: Craig shares his knowledge of building coops, and raising chickens for meat and eggs. 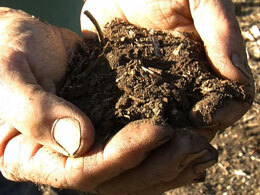 Vermicompost; the Very Best Fertilizer: learn to turn your garden wastes, food scraps & old newspapers into "black gold." Scheduled a Movie Screening for your school, church, civic group, homeschool group or even a group of friends. 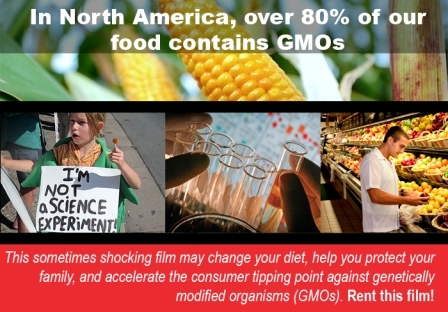 Current movie screenings available: Back to Eden, Fresh, Genetic Roulette. More details below. BACK TO EDEN shares the story of one man’s lifelong journey, walking with God and learning how to get back to the simple, productive methods of sustainable provision that were given to man in the garden of Eden. The organic growing system that has resulted from Paul Gautschi’s incredible experiences has garnered the interest of visitors from around the world. Our current industrial method of food production is increasingly viewed as an unsustainable system, destructive to the environment and public health. But what is the alternative? IT IS A MUST SEE FILM FOR EVERYONE.